This article covers how to remove automatic content boxes that pop-up in an email after a link is inserted. 1. Begin by clicking the gear icon in the upper right corner and clicking on Mail under Your app settings. 2. 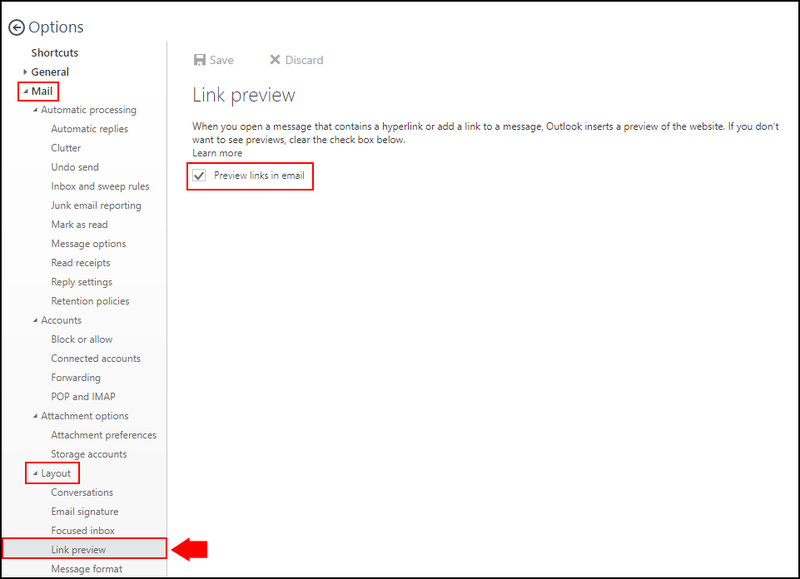 In the following window, navigate to Mail > Layout > Link Preview. You should see the Link preview options window like the screenshot below. 3. Uncheck the checkbox by clicking on it and click Save to disable link previews.